Why is it important to post bail for a loved one? What Do I do if Someone I Care About is Arrested? Bail Bonds - How Do They Work? What Crimes Can a Bail Bond be Used to Post Bail For? Why Choose Steele Boy's Bail Bonds in Panama City? Should I Post Bail for Someone? What Crimes Can I use a Bail Bond for? What are the Responsibilities of the Indemnitor When Posting Bail? Since 2002 Steele Boys' Bail Bonds has been providing fast and affordable bail services to people who need city, county or state bail bonds Panama City, Callaway and throughout Florida. 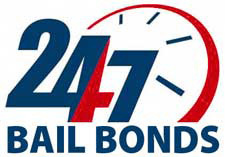 Our staff of licensed bail bond agents are available 24 hours a day, seven days a week to ensure the quickest release of your friend or loved one. We proudly serve all counties in Florida, including but not limited to, Franklin County, Holmes County, Calhoun County and Liberty County. It is our mission to reunite you with your friend or relative in the shortest amount of time possible. As soon as you learn that someone you care about has been arrested give Steele Boys' Bail Bonds a call and let us issue a bail bond in Panama City, Panama City Beach or the surrounding Florida communities. Our team is dedicated to delivering outstanding customer service during this difficult time. Steele Boys' Bail Bonds is locally owned and operated and when you call us or visit our office, you'll be treated just like family. We are committed to helping our clients in every way that we can. We want to ensure you get the help you need for the best outcome possible. We will always go above and beyond for our clients who need a Florida bail bond. We understand that this is likely a very hard time for you and your loved ones. We will do everything in our power to ensure the bail process is completed as quickly as possible. Payment options include credit or debit cards. 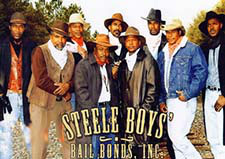 To learn more about posting bail in Florida don't hesitate to get in touch with the experts at Steele Boys' Bail Bond. Give us a call at (850) 403-0214 to request more information or to begin the bail process right away. "Coolest bail bondsmen ever! Best in all the county and friendliest too!" "Fast and friendly service. They even worked with me and I am from out of town. Definitely recommend them." Chipley, Marianna, Apalachicola, East Point and throughout Florida.